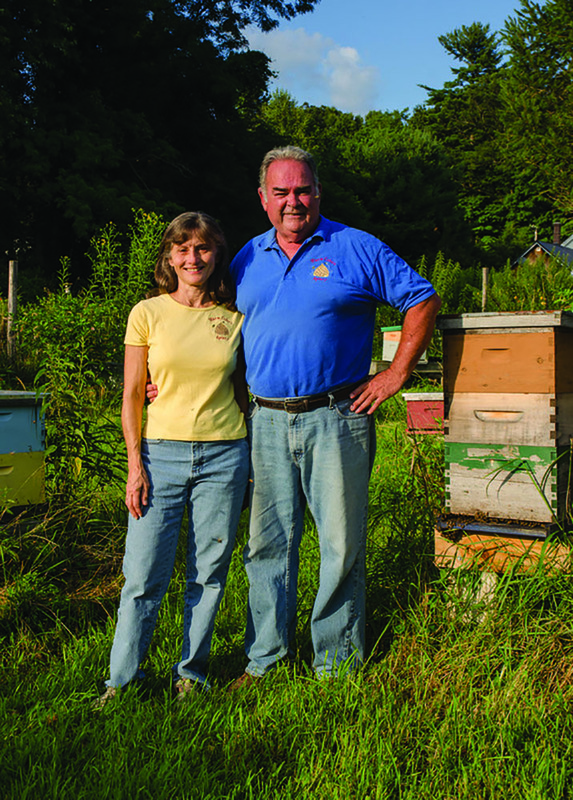 This is an interview with Western-Massachusetts commercial beekeeper Dan Conlon, who works with his wife Bonita to run Warm Colors Apiary. Dan has a background in running a private boys school in Massachusetts. At 50 he decided to leave education and work full time with honey bees. Here is his story. How did you get started with bees? A farmer named Hugh Bell introduced me to beekeeping. He kept several dozen colonies for the honey and for pollination. I would work for him Summers helping hay, with harvesting, and other chores. I was 14 and learned a great deal from Mr. Bell. His honey bees were an instant attraction for me, and we spent many hours working in the hives. Over three years I learned to make Spring splits, raise queens (from cells, no grafting), and produce honey. One of my favorite activities was “bee lining” on Sunday afternoons. Three or four of us would capture bees, and release them one by one and follow them until we located a bee tree. Later we would cut the tree and place the log in the apiary. As I remember this was how we found bees. I do not think we ever had to buy bees to keep the farm apiary stocked. He gave me my first beehive and first copy of the ABC-XYZ of Beekeeping. When I think back Hugh Bell was probably a very good beekeeper and teacher. I still quote his advice and over the years continue to find his bee lessons still work. How did you make the decision to become a full-time beekeeper? I have kept bees most of my adult life. Sometimes a few, or 50 or 100. Any income generated from honey sales or pollination helped me support my hobby. I would think about the possibility of keeping bees for a living, but it felt financially risky and I had a family to support. When I turned 50, I decided to reinvent myself as a beekeeper. This was to a large extent due to having acquired the business skills, and personal finances to finally start a commercial apiary. It could be said that it took 40 years to take the plunge, follow my dream, and take the financial risks. Today I have no regrets at making the move to a career in beekeeping. The work can be challenging, has disappointments, but those moments when the bees produce and your hard work returns a paycheck you feel the satisfaction of being responsible for your success. Good or bad, you own the work. Describe your current beekeeping business. Warm Colors Apiary started as a honey producing business. We invested heavy in equipment and bees the first three or four years, building our apiaries to seven or eight hundred colonies. We do not live in an area known for high honey production, but we do have very good conditions for raising bees and queens. Over 16 seasons produced an average of 60-70 pounds of honey per production colony. We have both fixed (year-round) beeyards and we move hundreds of colonies each season to specific nectar sources to maximize production. We offer pollination services to apple, and blueberry growers in May. June and July we pollinate vine crops: squash, cucumber, and vegetables. Growers pay us a fee for the hives and we service individual fields, not profitable for the bigger mechanized beekeepers. Spring fruit pollination requires that the bees be in and out of the orchards to avoid the potential risk from spraying. The Summer pollination sites provide access to bee forage and also provide some of the better honey producing locations. We are able to produce some buckwheat, raspberry, basswood, and other varieties of honey by moving bees to the plants. These locations may not be adequate for keeping bees all year, but do offer a crop if timed properly and strong colonies are used to harvest the nectar. We also sell bee equipment and supplies. Selling woodenware was an accidental side business that was not originally part of our business plan. There was a local supplier, well established, who quit the business. 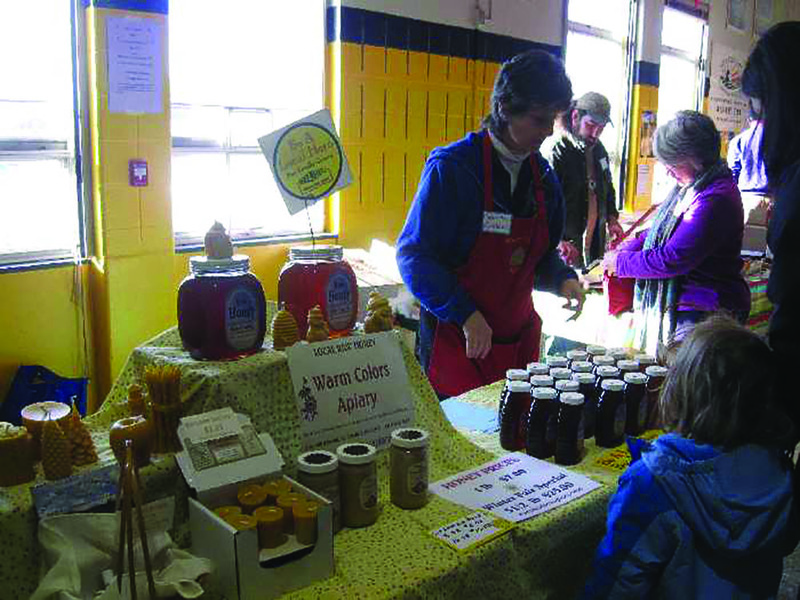 With no source for woodenware local beekeepers came to us and started to buy a few frames, or a box and covers. I kept an inventory for my use, and after a while, every time I went to setup new equipment it was gone – sold to beekeepers. Bonita & I finally accepted we were in the bee supply business and started doubling our orders – some for Warm Colors Apiary and some for the backyard beekeeper. We sell equipment three days a week at our home apiary. The bee supply business includes package bee sales, queen sales and nucs. Selling bees requires providing instruction and advice. We offer classes and workshops to help new beekeepers get started and experienced beekeepers to learn advanced skills. What is the division of your current activities? Seven or eight months are focused on working with the bees. Nuc production, queen rearing, honey production, and pollination take about 60% of our time, honey bottling and delivery another 20%, and at least 5% marketing products. 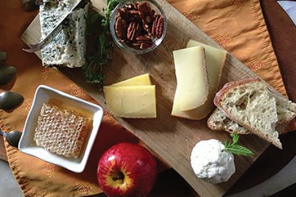 The remaining time includes recordkeeping, retail sales in our shop, and attending agricultural or beekeeping meetings. What are the most profitable parts of your business? Honey is the most profitable product. Total production is not consistent from year to year so forecasting a profit is unreliable. In a high yield year honey represents two-thirds of our total income. We did have a year that cost us more to keep our apiary going than we took in from honey. Production was so poor nearly all our hives required heavy Fall feeding to survive Winter. We spent more money buying sugar to feed than our honey sales could recoup. Equipment sales has the lowest profit margin, as there is only a small discount from the manufacturers and on top of that you must add the cost of shipping. Equipment sales need to be high volume to produce measurable income. Equipment requires storage, ties up cash as inventory, and you compete with the same companies who you represent as a distributor. What are the least profitable times that you are reluctant to let go of and why? Many aspects of beekeeping that are enjoyable do not produce any income. I enjoy talking about bees and beekeeping, but I only occasionally get compensation and it rarely covers my expenses. Taking time to answer questions or helping other beekeepers, volunteering to serve as an officer in local, state and national bee associations is not about making a profit. There are obligations, if not a requirement, that those with experience mentor those willing to learn. I had this mentoring many times in my life and continue to learn from those beekeepers I have met in associations. Queen breeding is another place that is difficult to make profitable. Warm Colors Apiary produces queens to make increase and re-queening hives. Some are sold to beekeepers. We are members of the Russian Honey bee Breeders Association selecting from specific lines of queens to improve mite tolerance and other desirable traits. It requires feeder colonies to setup mating nucs, drone source colonies, and considerable equipment to maintain a queen-rearing program. Selling queens at $30-35.00 does not reflect the actual investment in resources, or the labor it takes to produce, evaluate, and care for a queen. Raising an excellent queen is not about the money, but the satisfaction of watching her build a large colony of healthy workers, that produce a big honey crop. If you were to start over, knowing what you know now, what would you do differently? I became a full-time beekeeper in 2000. 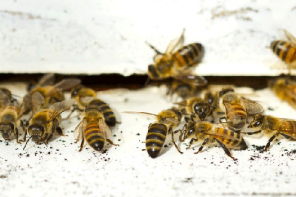 Mites were wiping out apiaries, and bankrupting successful beekeeping families. It was probably not the best time to go into this business. I can look back now and say I am so glad that did not keep me from trying. I lost bees, and struggled to find better solutions to the mites, and how to keep my bees productive. This was a motivator for me to learn as much as I could about mites, who were the people doing the best research, and learning to do my own evaluation of treatments. Having a stronger background in science would have served me well, as I read many scientific publications a bit over my head to understand. In many ways I was well prepared to start a small business. My background was as a manager and administrator at a private school. A part of my responsibilities included forecasting budgets, labor costs, and working with students and faculty. Much of this could be applied to running a small business and marketing products. I was a competent beekeeper, and had been managing a hundred hives for honey and pollination. With this said, I would have spent more time planning on paper before declaring I was in the bee business. I would have benefited by working with an established commercial beekeeper. One hard lesson anyone managing several hundred colonies learns is that you must be efficient with your time, and as good as you were when managing a dozen hives, little carries over to a commercial apiary. It is easy to be distracted from the management tasks by other more enjoyable activities. When you work bees for honey or pollination, or raise queens, procrastination is the enemy. Bees, mites, disease, and colonies needing supers do not wait for the beekeeper. An ignored problem in beekeeping only gets worse, and the longer it continues the less likely the beekeeper can be successful in turning things around. More attention to the purchasing of equipment would have saved me money after buying new, instead of used, or extracting equipment that was insufficient for our needs. Again working and consulting with experienced commercial beekeepers would have been helpful in planning my equipment priorities. I started Warm Colors Apiary in isolation, as an unknown to many beekeepers. I did not belong to any bee associations, nor did I seek out advice from other beekeepers. This was a mistake. Today I would suggest anyone entering into beekeeping as a business should join associations, make friends with successful beekeepers, and find ways to stay informed about the bee business, and news about honey bee health and best management practices. Beekeepers need to see each other as collaborators not competitors. Bee discoveries may start in the backyard, but are proven and refined when nationally tested. What are your key sources of information about bees and beekeeping? Information about bees comes from other beekeepers, reading material, and from the bees whenever I open a hive. I like books for most of my information. Books provide more detail, I can read them more than once, and I can look up specific topics. My personal beekeeping library has more than three hundred titles. I am a subscriber and regular reader of Bee Culture Magazine and the American Bee Journal. I pick up many ideas whenever I attend bee meetings. I have been active with the Eastern Apicultural Society, Massachusetts Bee Associations and my Franklin County Bee Association. Do you use the Internet in your beekeeping? If so, how is it useful? Has it been harmful at all? 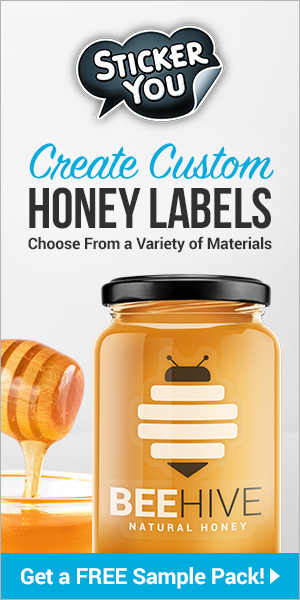 I use it to sell our products, stay in touch with customers and other beekeepers. I also order for my business and from vendors. Purchasing and selling is a convenient tool. I use the Internet to research bee topics. This can be an excellent way to find research publications and often older studies on bees. This is as much an exercise in filtering out the self-declared experts, from researchers & expert beekeepers who pass the peer-review and scrutiny for their scientific work and demonstrated beekeeping skills. This can be harmful to a new beekeeper, as I have found many examples of bad practices that are recommended on-line. What book are you reading right now (bees and not beekeeping)? I have read all the “Essentials” books, which I have and as you know I consider them the best series of bee books available. Currently I am reading “Bringing Nature Home” by Douglas Tallamy, and “Two Million Blossoms” by Kirsten Traynor. These are in preparation for a workshop I am presenting for a January NOFA conference (Northeast Organic Farmers Association) on Honey. How is your business set up? (LLC, Corporation, proprietorship)? Warm Colors Apiary is a sole proprietorship. This is the simplest accepted form of business for tax purposes. I have looked into LLCs as a possibility, but our legal exposure and financial situation does not gain anything from this change. As an agricultural business there is less required recordkeeping, and the option of combining all income, and take more deductions. This may not be the best choice in another state, or another beekeeper’s financial profile. What is your plan to transfer your business to a younger person? This is a difficult question. I have several young beekeepers who work for me and would like to eventually become full-time beekeepers. Raising capital to purchase, even if I finance the purchase, and earn a living would require growing the business beyond its current size. Essentially the apiary would need to generate enough income to support additional employees, plus pay down the purchase of the business. My replacement would require additional capital to finance growth. Having built the business without acquiring debt, and self-financing my expansion and struggling through the first three years before showing a profit, it is difficult for me to see how Warm Colors will continue. This is not unique to beekeeping, but is a major challenge for small farms throughout the U.S. The solution may be investment and financial incentives and assistance from Government and USDA programs. What ‘feeds you’ keeping bees? Making a living with my bees brings wholeness to my life. After 50+ years of beekeeping I am still curious, excited, and hungry to learn more about the honey bee. Beekeeping is problem solving and I enjoy the process of discovering solutions to a problem and gaining the understanding that comes from new knowledge. Working bees is engaging with nature, testing and honing my perceptions of weather, plants and the conditions that change behavior in bees. I enjoy the culture of beekeeping and enjoy the company of beekeepers. Beekeepers are a diverse group, representing all kinds of backgrounds, occupations and lifestyles, all brought together because of a special appreciation and relationship with the honey bee. Dan Conlon is a scheduled speaker at ‘A Case For Honey’ held in Medina, Ohio in October 2016.